I’ll admit I’ve been more than a little overwhelmed these past few weeks. We moved, set up house, I’ve been working on starting a business and training for an ultramarathon while attempting to keep up a consistent home asana and meditation practice. While I know I’m not the busiest person, I do know that all of us have moments where we feel more than a little off kilter by what life is offering. So, today while on a training run, I just stopped. I took a moment in a beautiful little park by the river to just take a breath. I did a little asana practice right then and there to calm my mind, reconnect with the earth and listen to my inner stillness. Because, even in those moments of transition when everything seems off balance, there is always an inner stillness we can tap in to…even if it’s only for a moment. What a crazy-awesome week! I hope you are enjoying your Friday and gearing up for a fabulous Saturday and Sunday! I had the opportunity to practice with this amazing woman…check her out! Looking for a retreat in your area? This site allows you to search worldwide! Got my tickets to go back here this fall for a month to assist on a teacher training course! 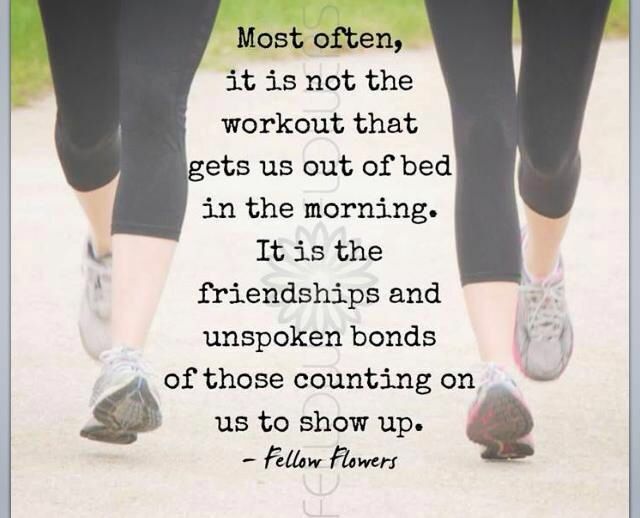 Grateful for friends to run with. Epic Hardrock 100 coverage from iRunFar. Photo found here (via Pinterest). Happy Friday, everyone! It’s time for our Five Friday Finds! This article on Raptitude about quieting our minds. Video of the skeletal structure of the body doing yoga. Obesity and Ayurveda, together in the same article. My dream is to run the Ultra-Trail du Mont Blanc one day…this coverage helped fuel my fire!